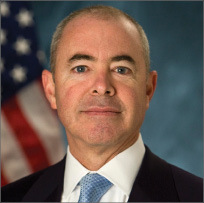 The short list of candidates to replace Attorney General Eric Holder is Alejandro Mayorkas, a Cuban-American lawyer. “He’s one of the top candidates. He has all the qualifications needed to succeed in the job,” one insider said. Mayorkas is backed by the National Fraternal Order of Police, which is the nation’s largest law enforcement officers’ organization. Other names that have emerged are Labor Secretary Thomas Perez and Solicitor General Donald Verrilli. Posted: 11/5/14 at 9:54 AM under News Story.